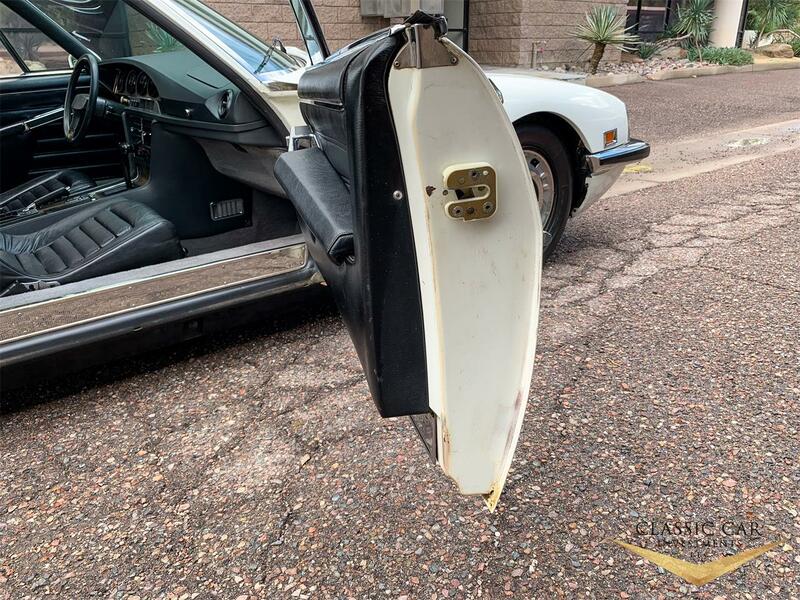 Here is an absolutely amazing find! 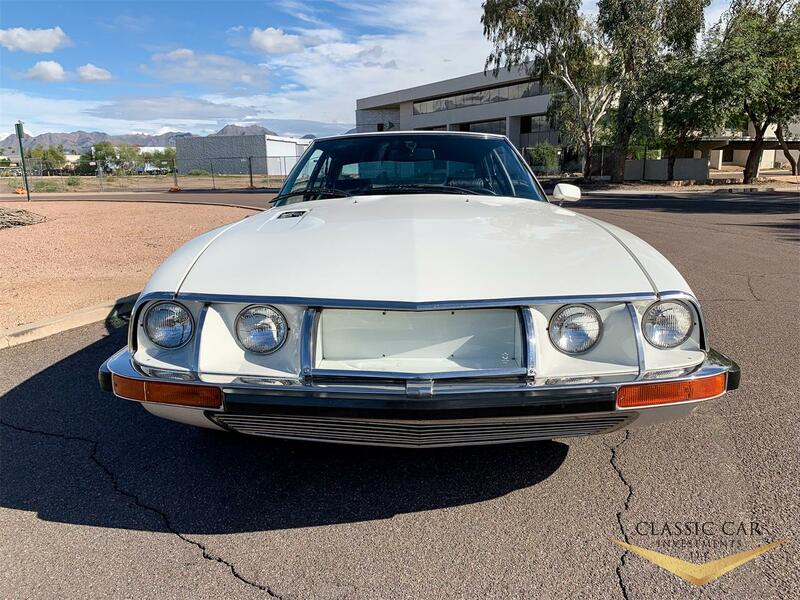 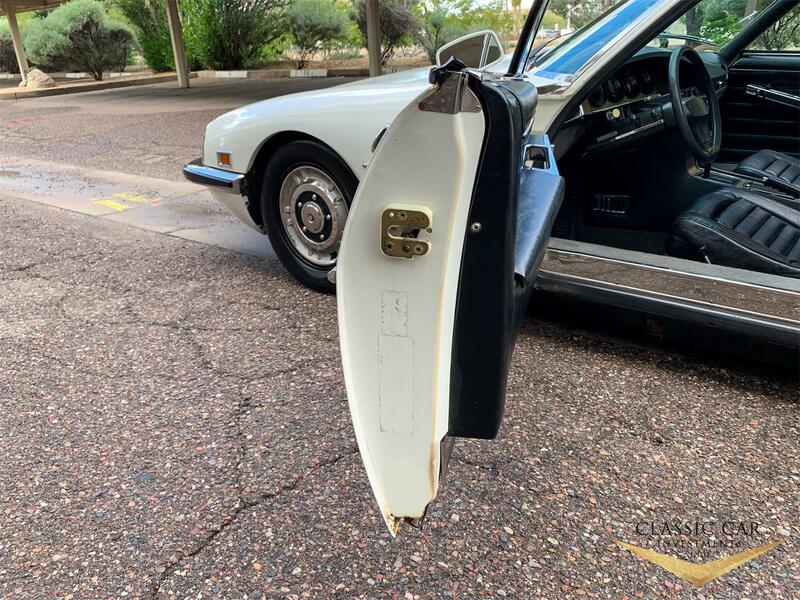 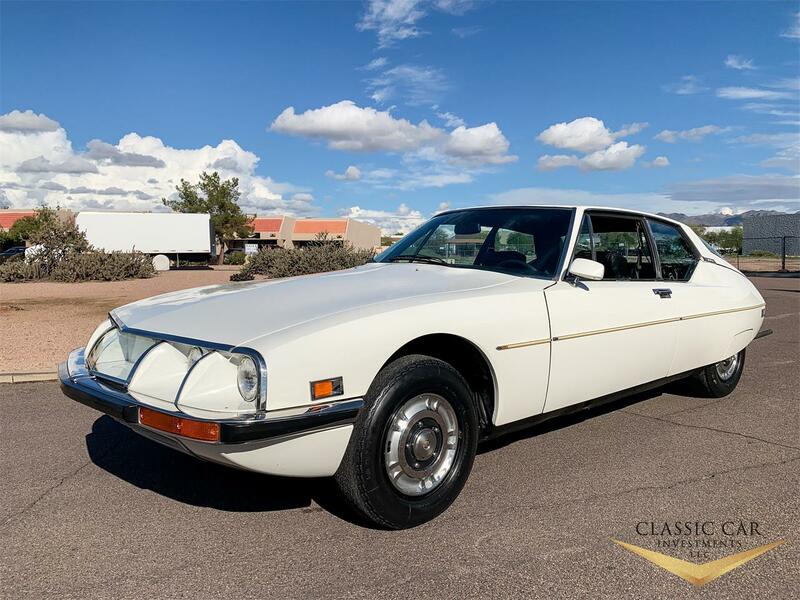 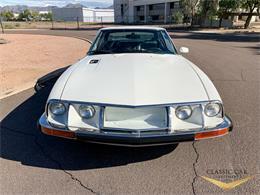 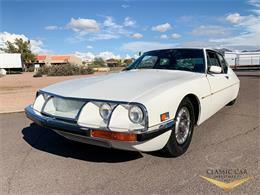 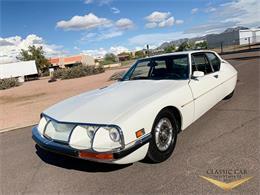 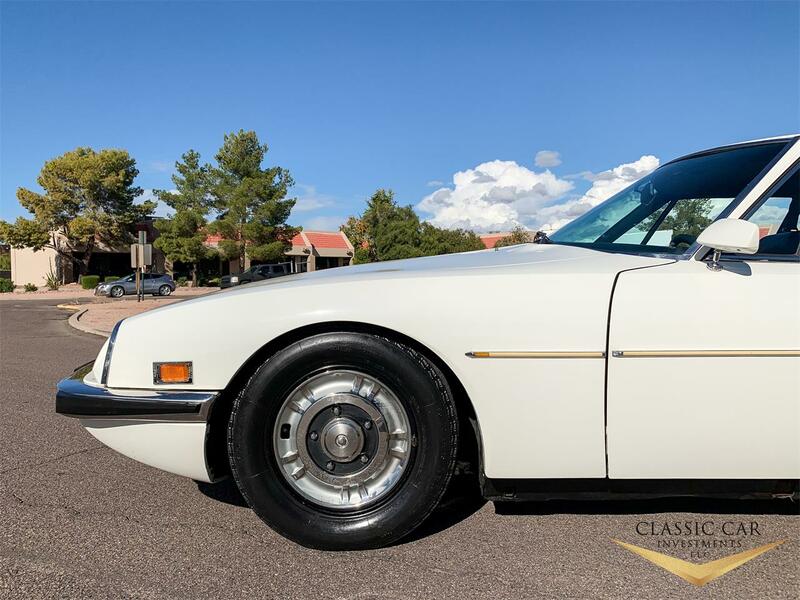 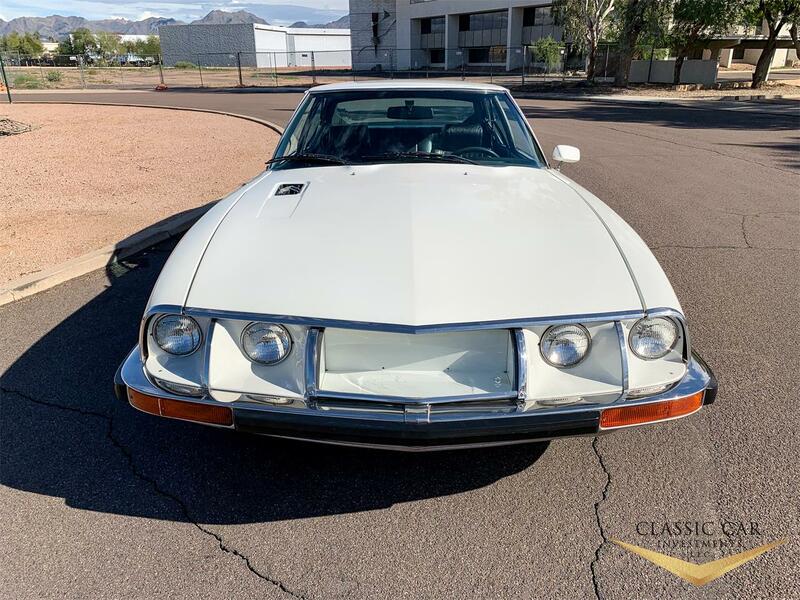 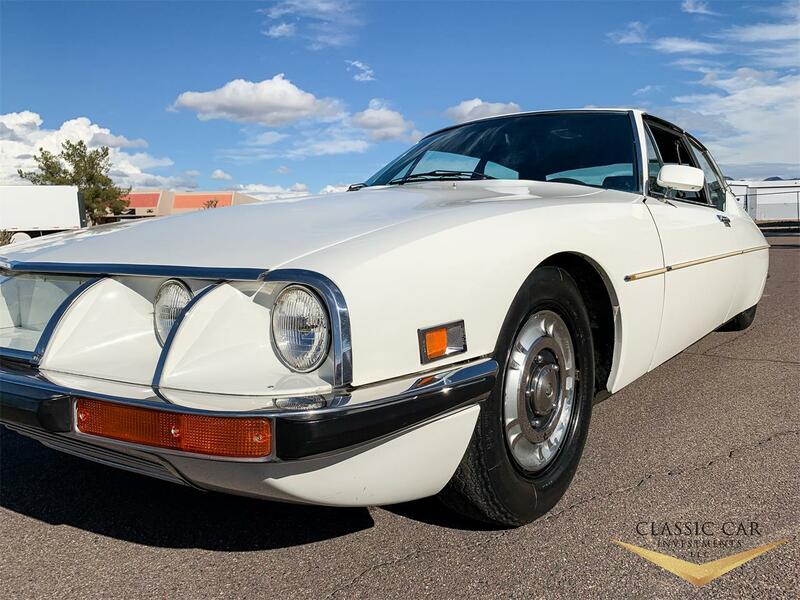 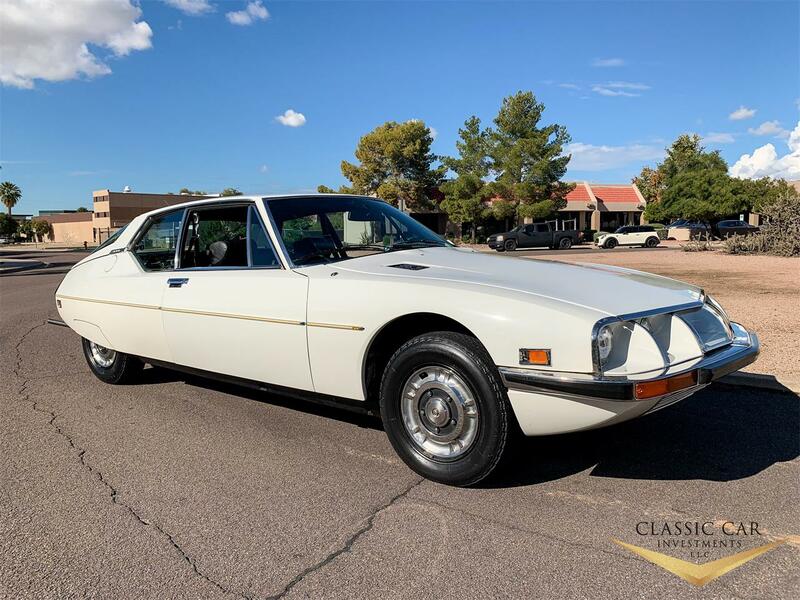 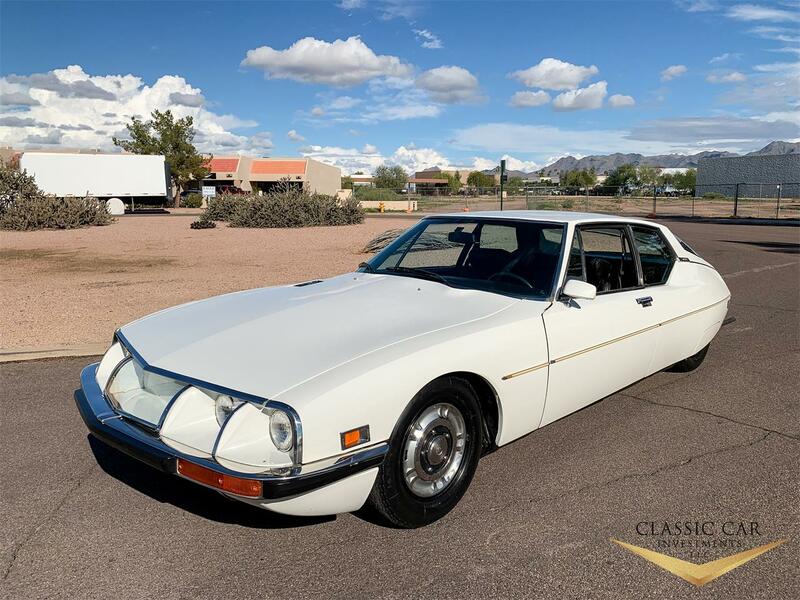 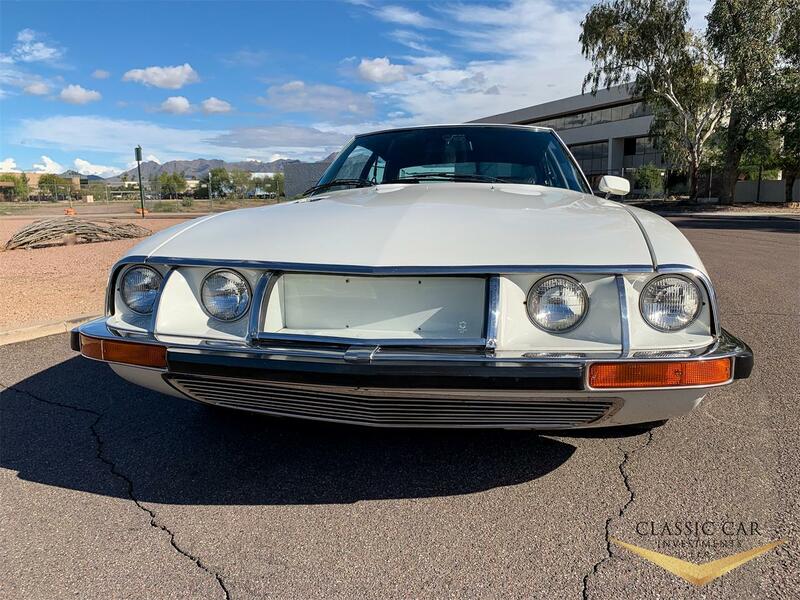 It is an ultra rare 1972 Citroen SM coupe that is a true survivor. 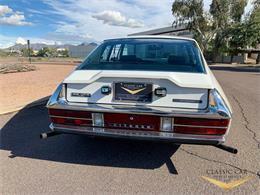 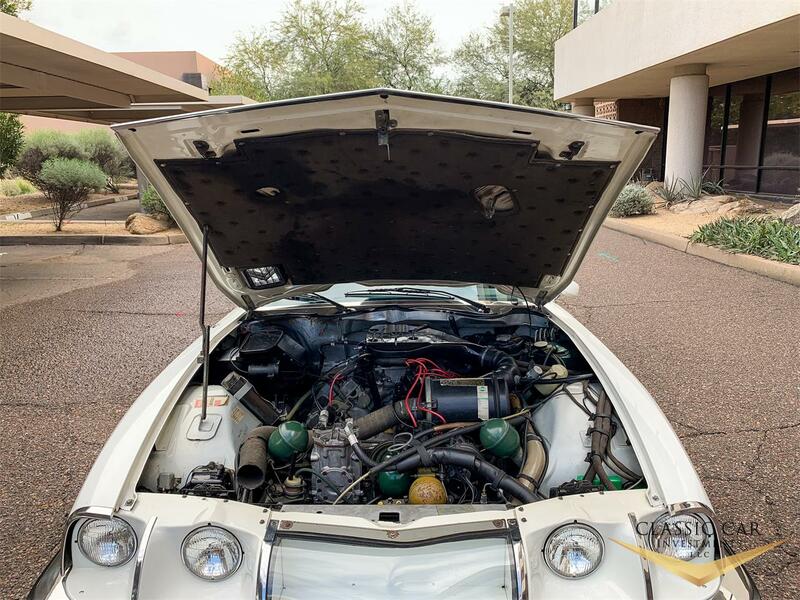 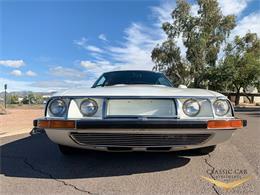 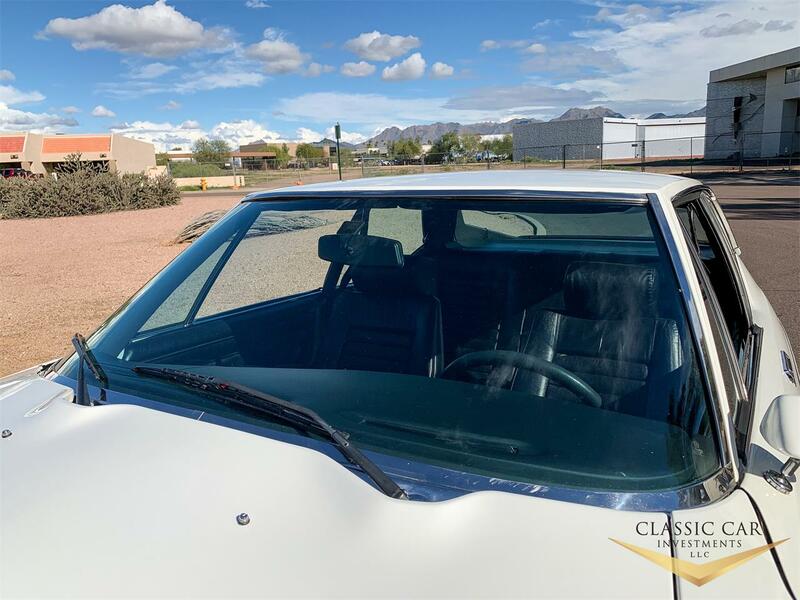 This car is pretty much all original with only 34K original miles that show's wonderfully. 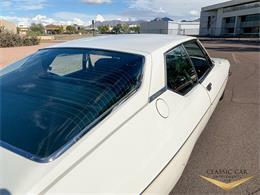 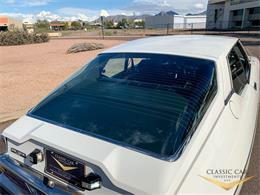 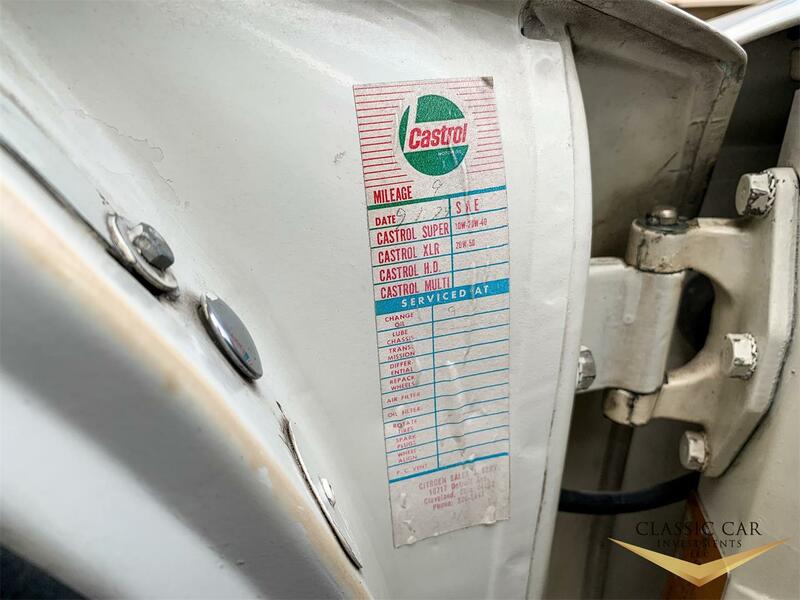 It has mostly all original paint with stunning chrome and trim. 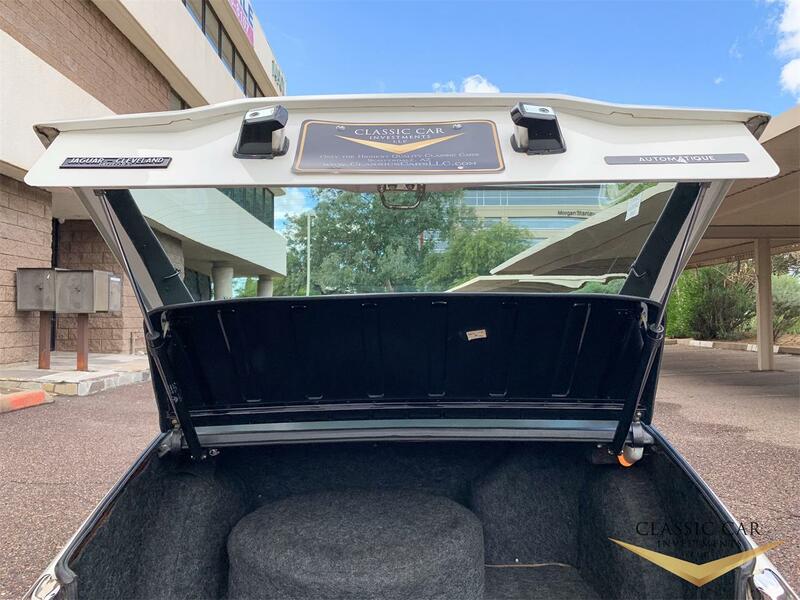 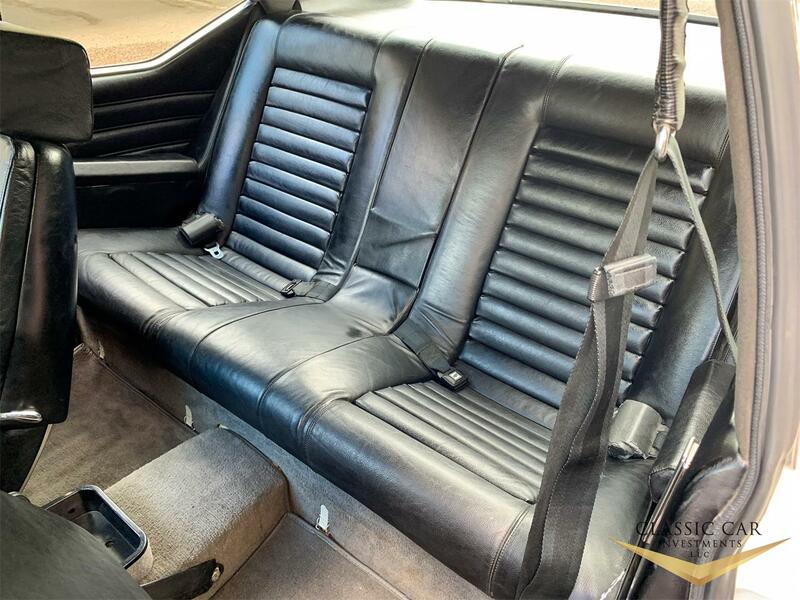 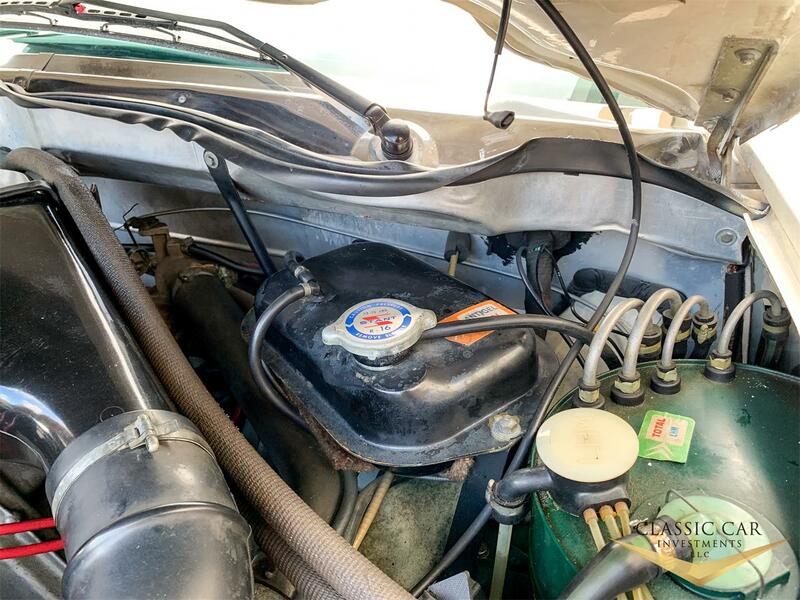 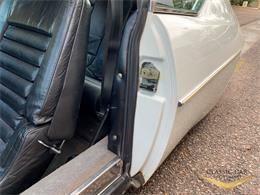 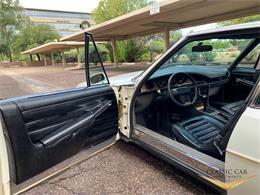 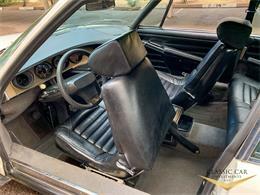 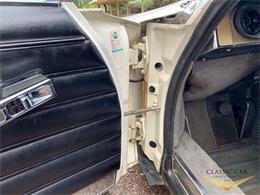 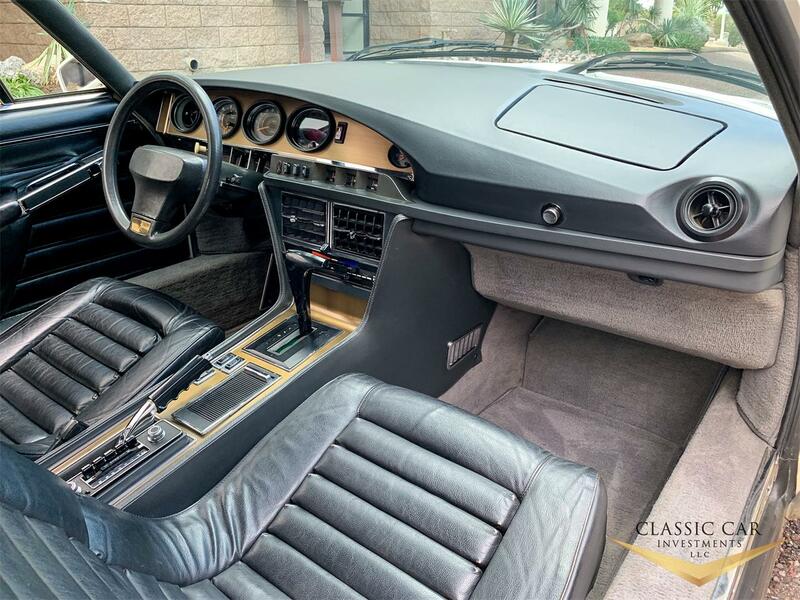 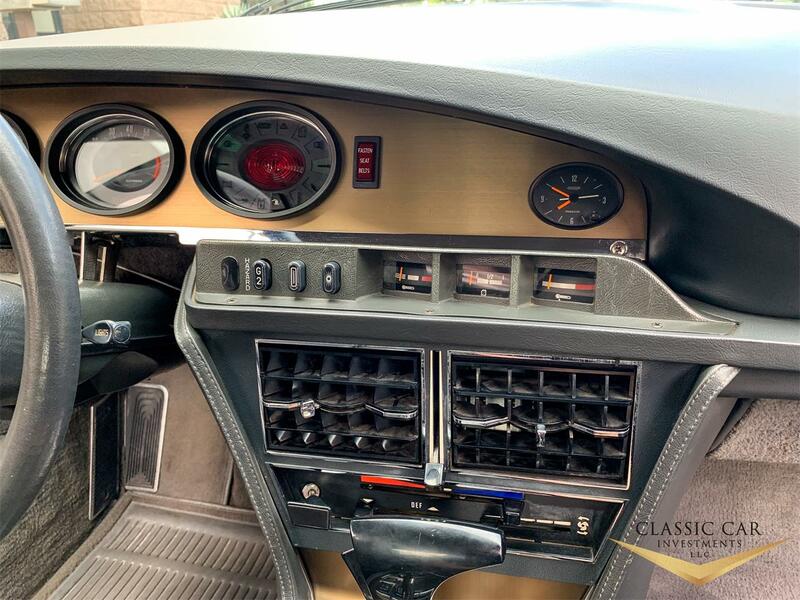 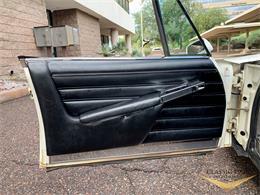 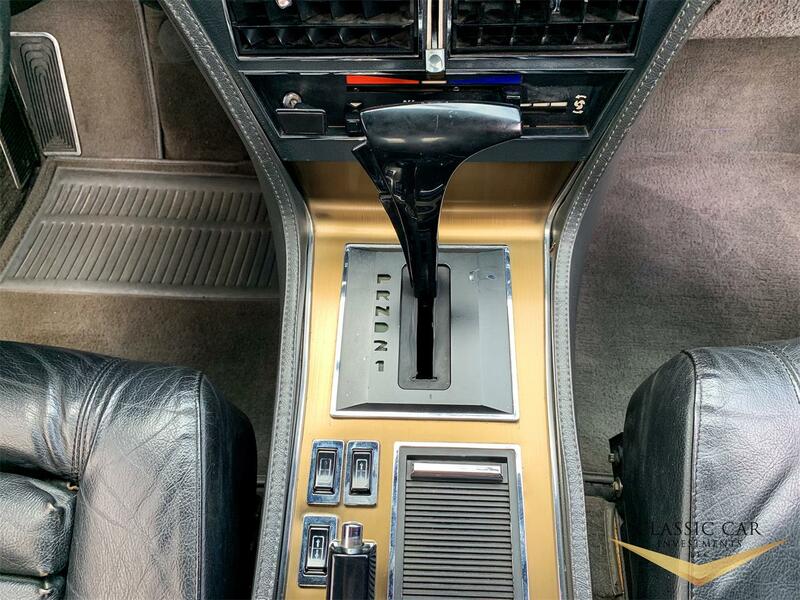 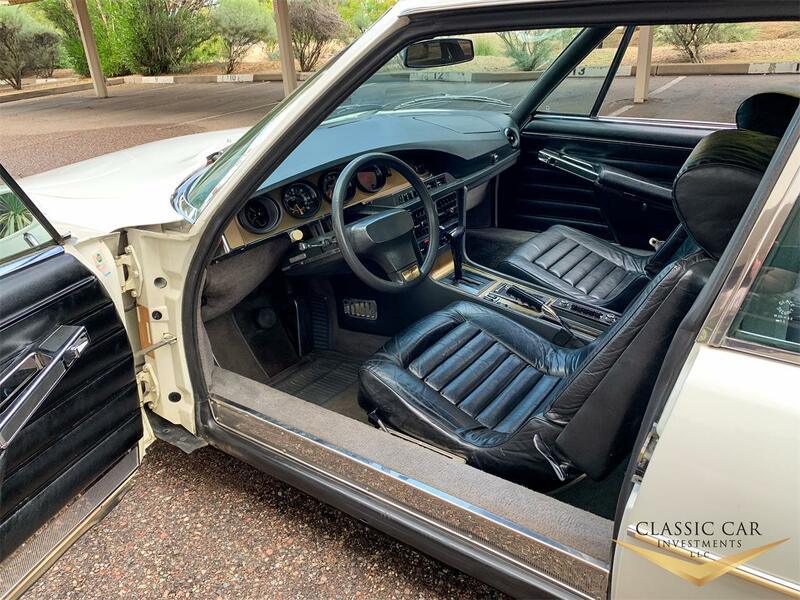 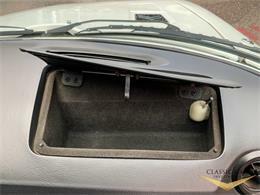 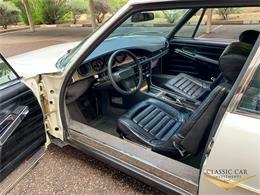 The completely all-original interior is in absolutely mint condition. In our opinion, this is one of the nicest, original Citroen SM's in the world. 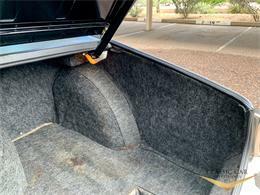 Just in general, it is amazing for a vehicle of this age to be preserved this well. We purchased the car from the estate of its long-term owner. Who was a collector of rare, low mileage collectable cars. 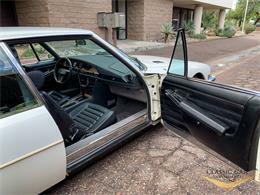 He had all his cars in excellent storage and even loaned them out a museum for a bit. 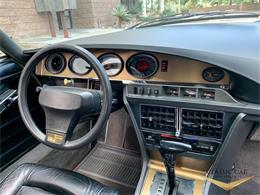 We had the car just serviced by a local Ferrari mechanic. He checked the car out from front to back, did a few things to it and gave it the big green light. 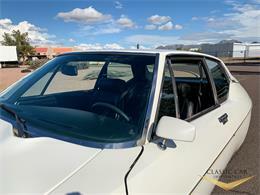 It is an amazing running and driving car that is a true pleasure to drive. 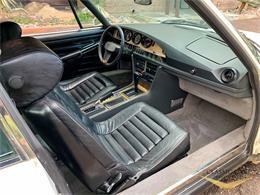 We rated this car as a number 2 due its amazing, original condition. A car is only original once and can never be again once it's restored. 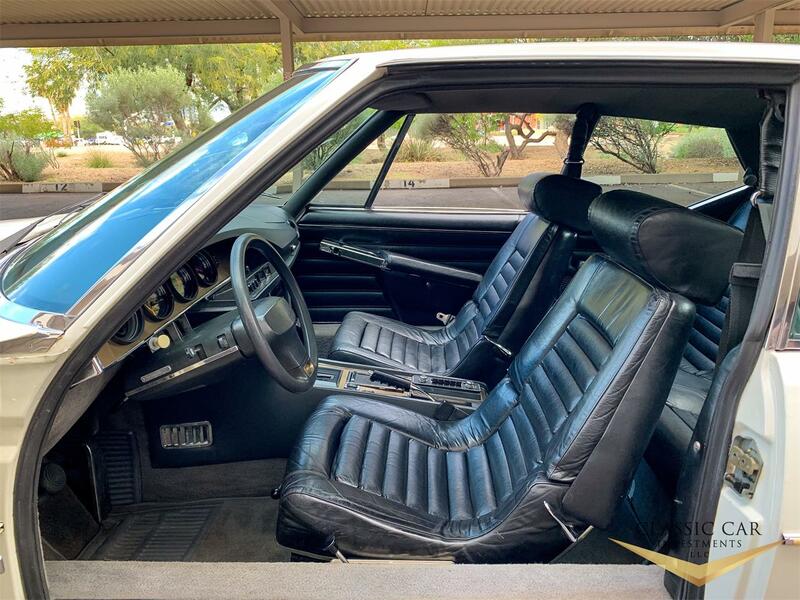 There is not much, at all that can be picked apart on it. 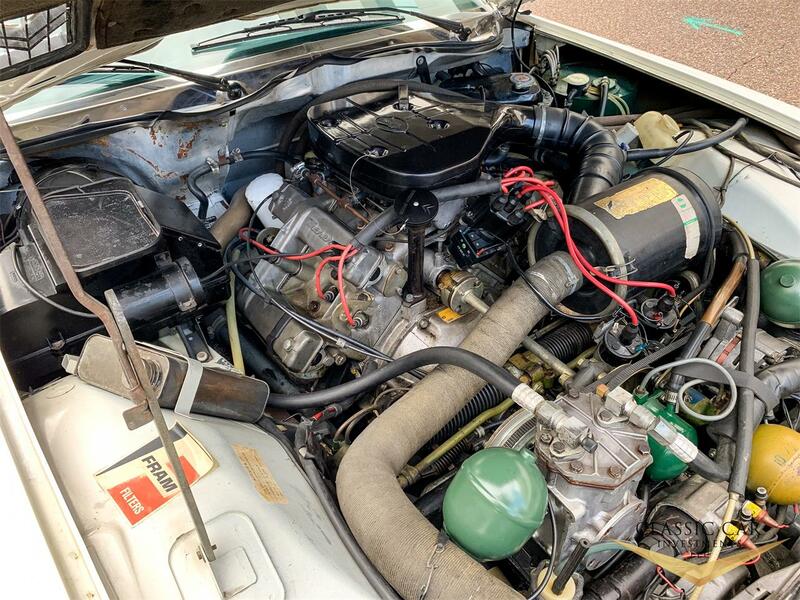 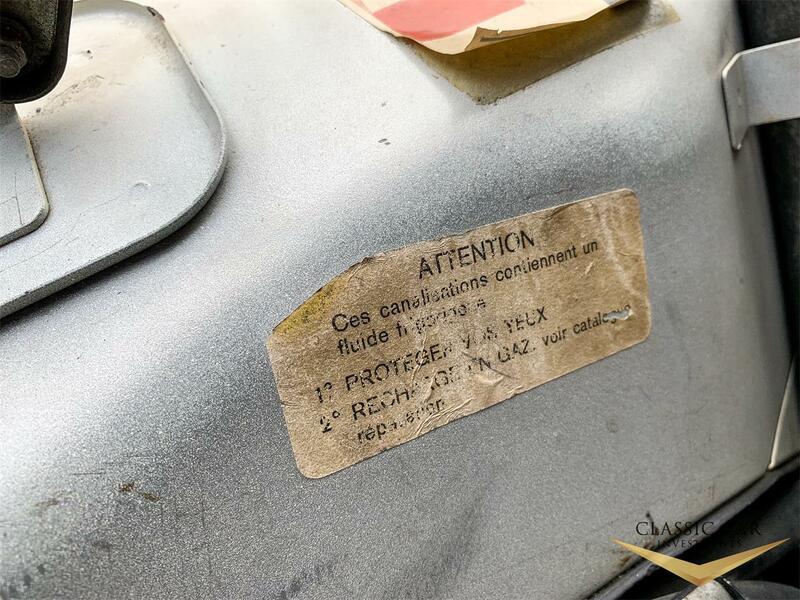 This is the condition we all dream of finding an original vintage car. It even has its original selling dealers tag on the back along with owner's manuals and other books. 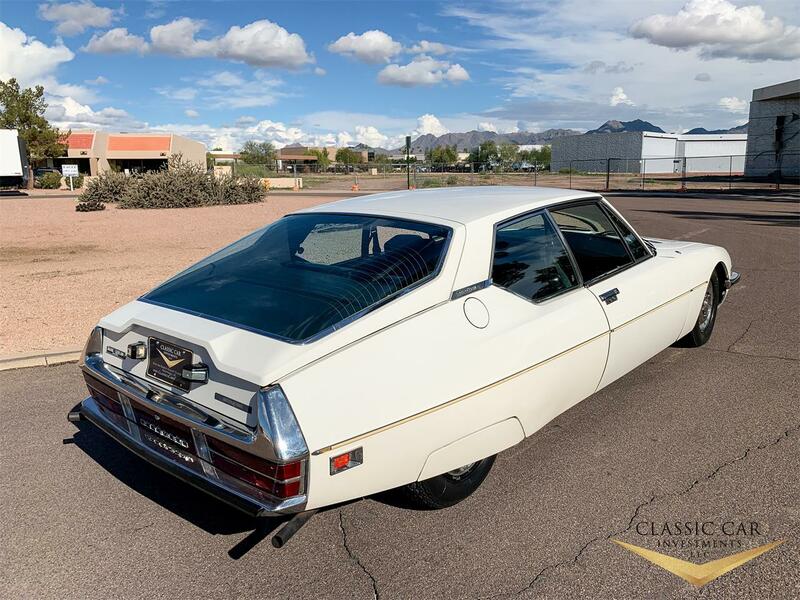 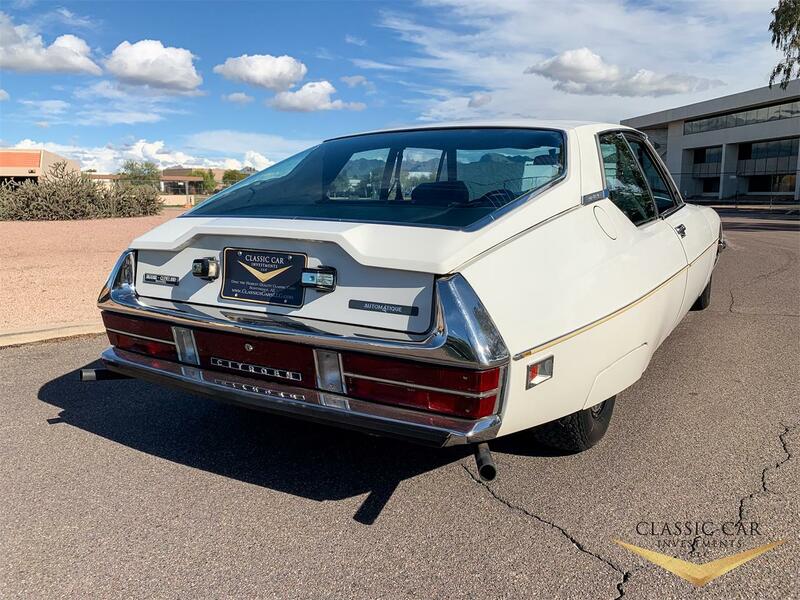 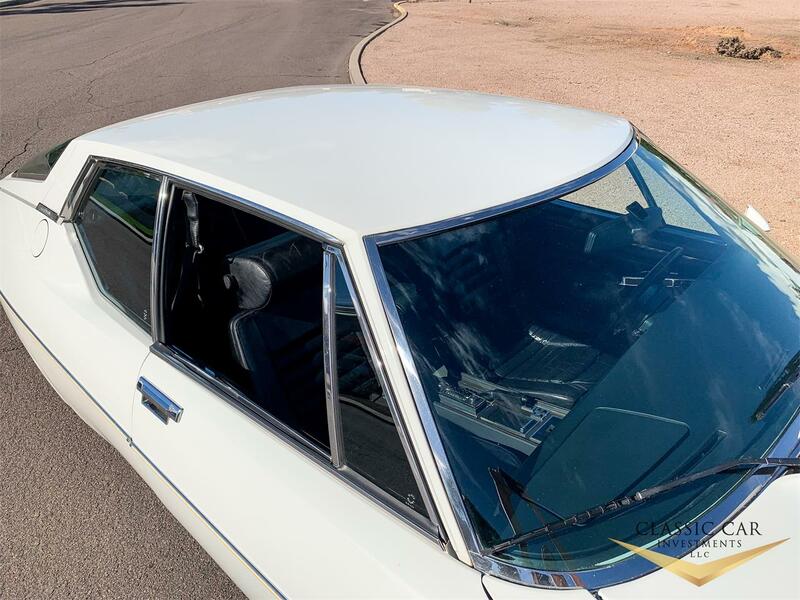 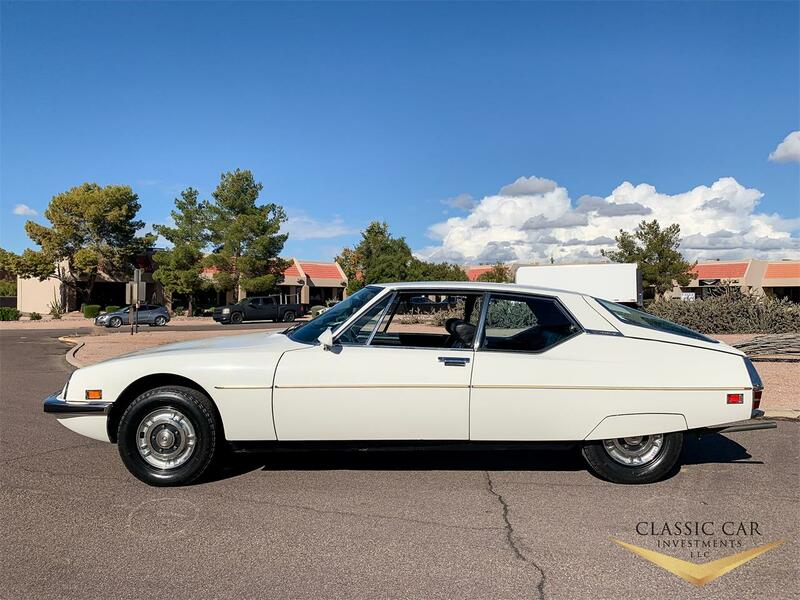 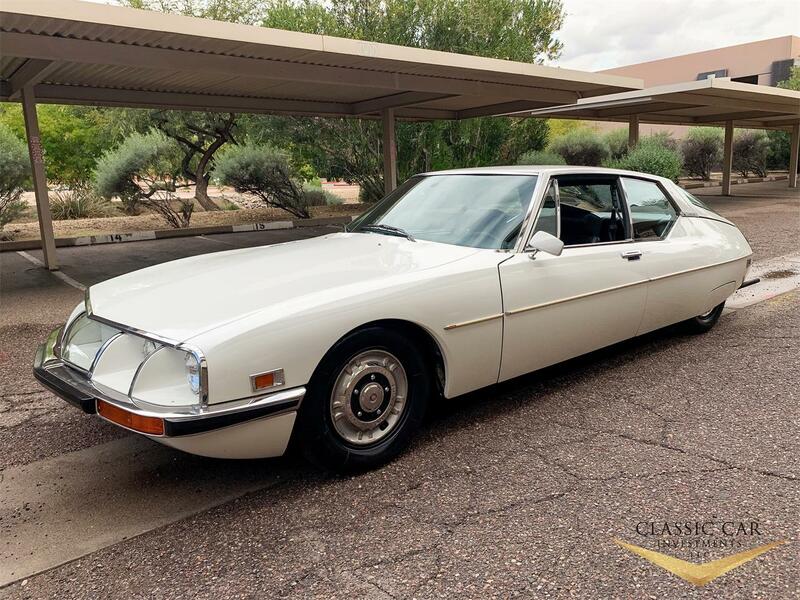 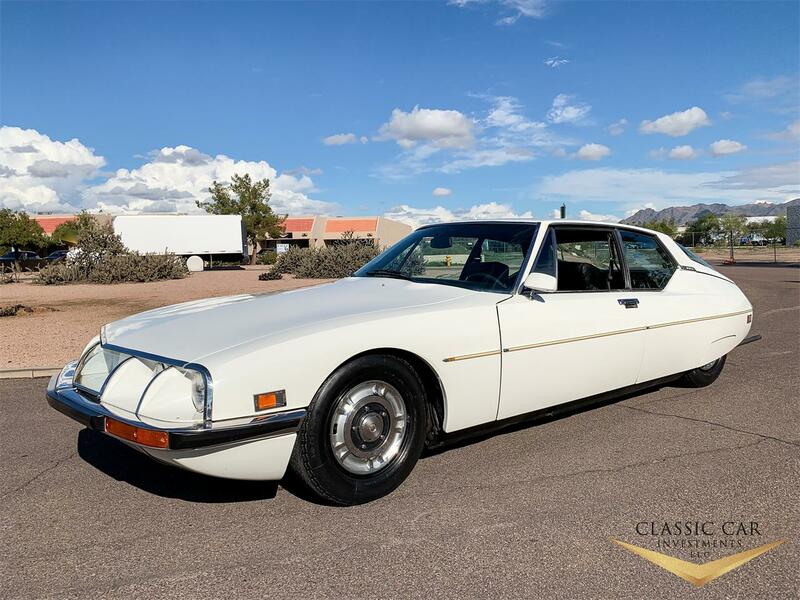 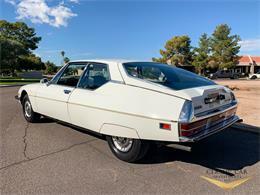 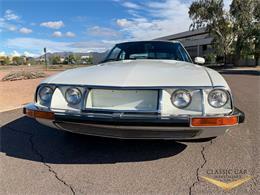 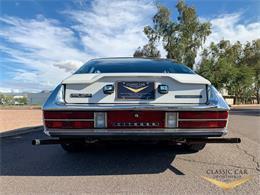 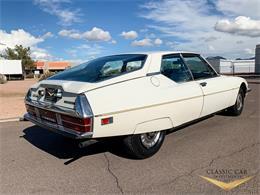 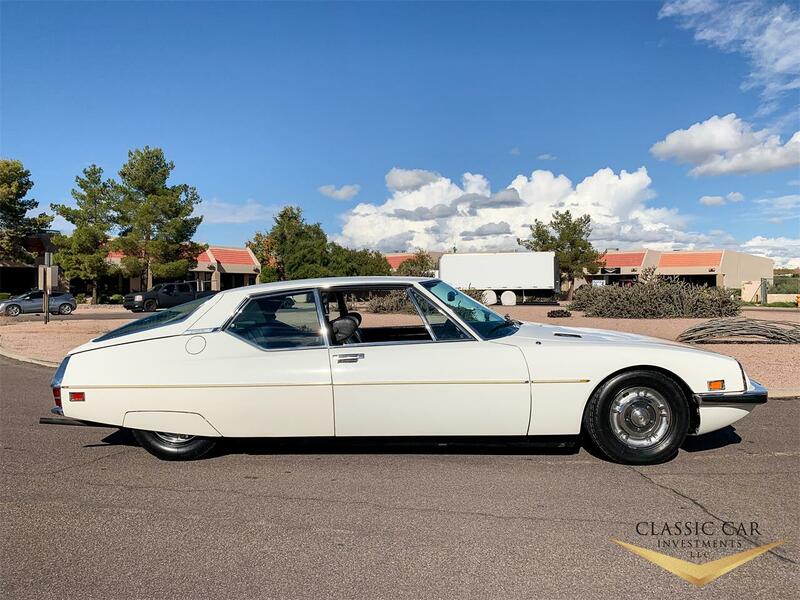 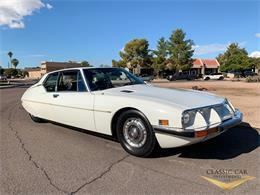 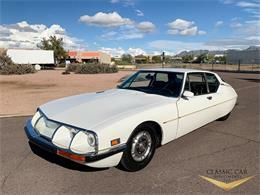 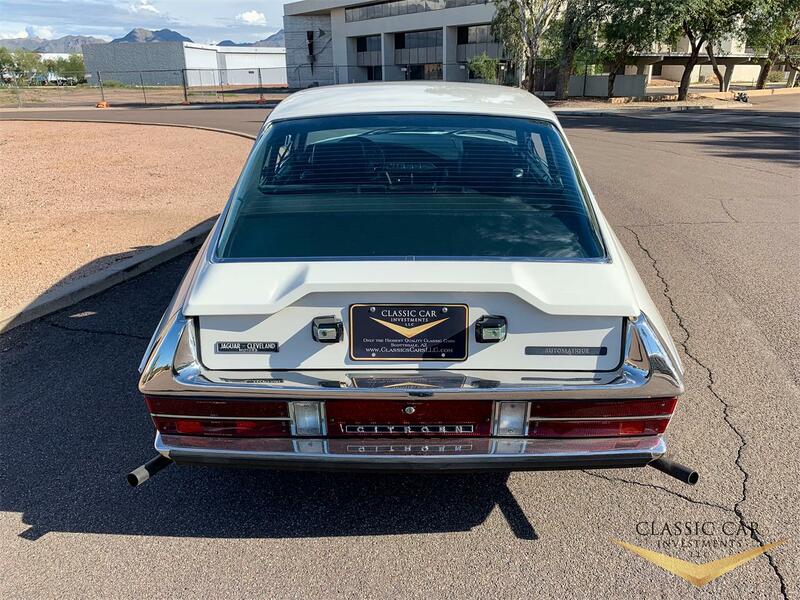 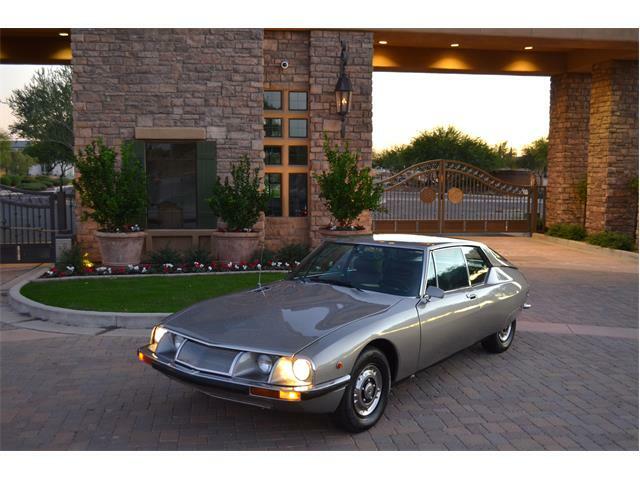 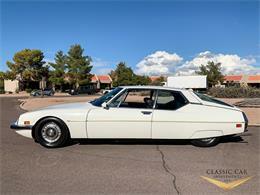 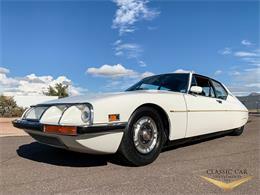 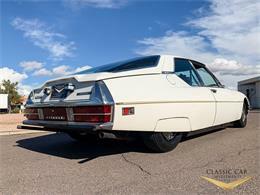 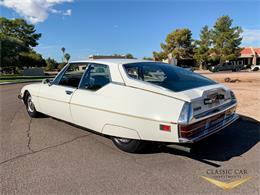 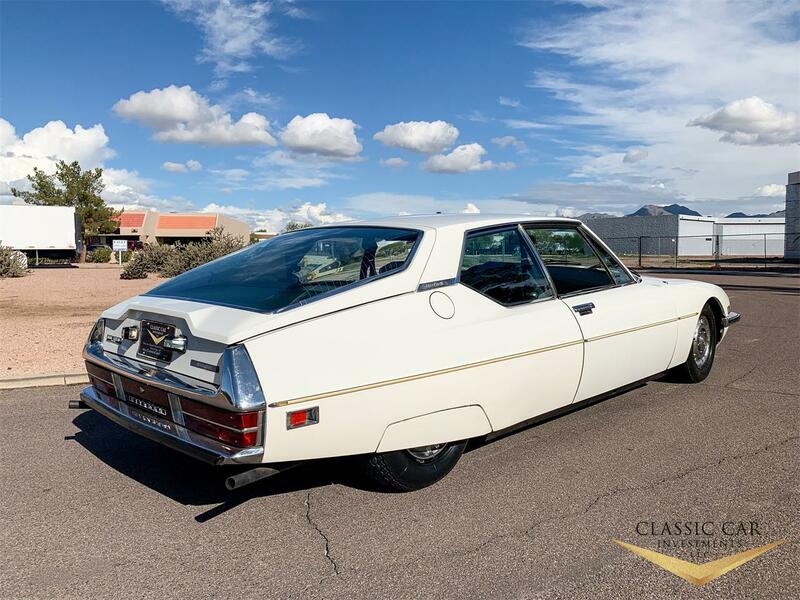 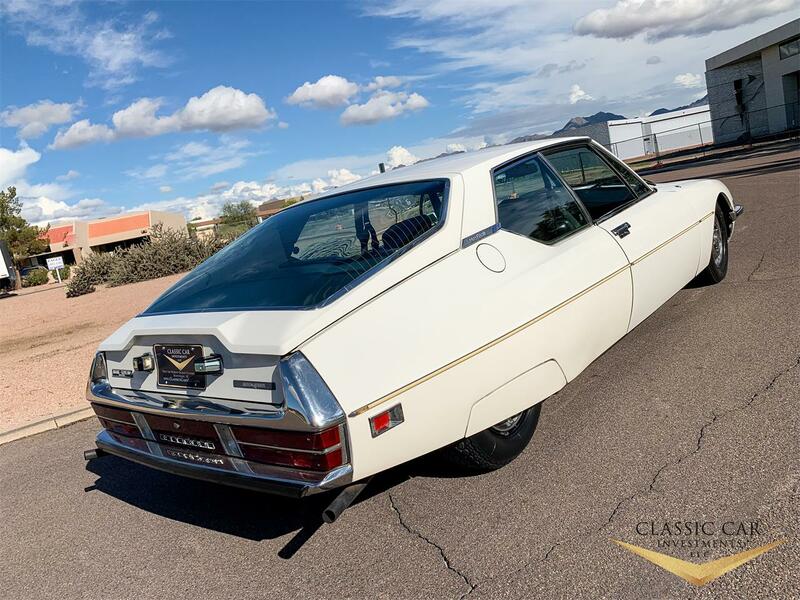 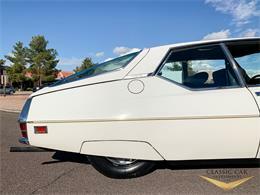 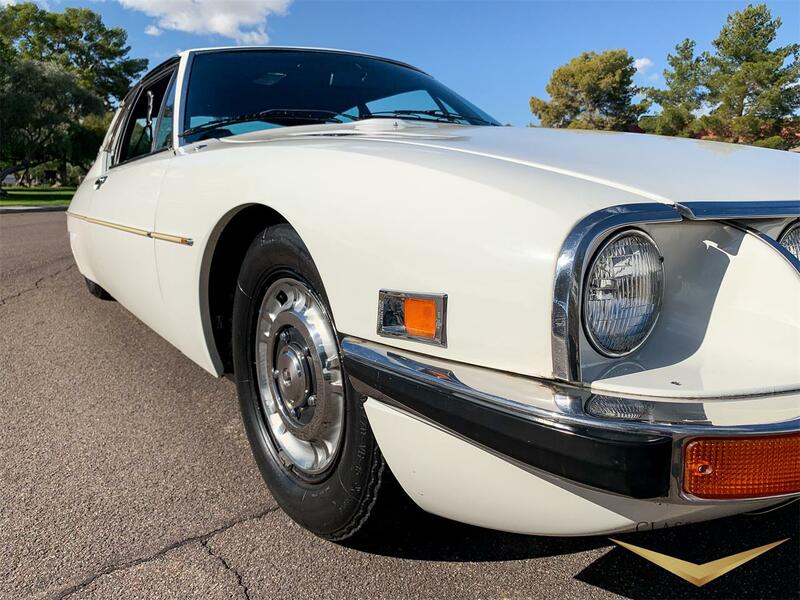 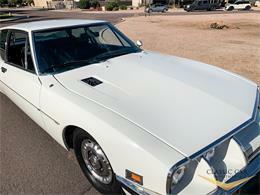 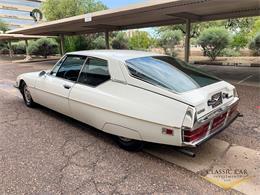 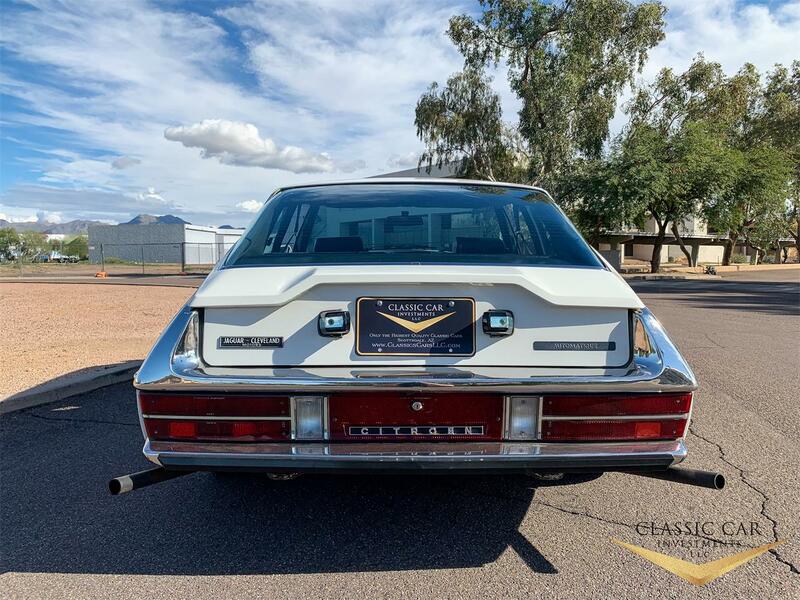 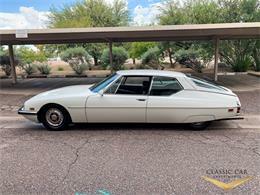 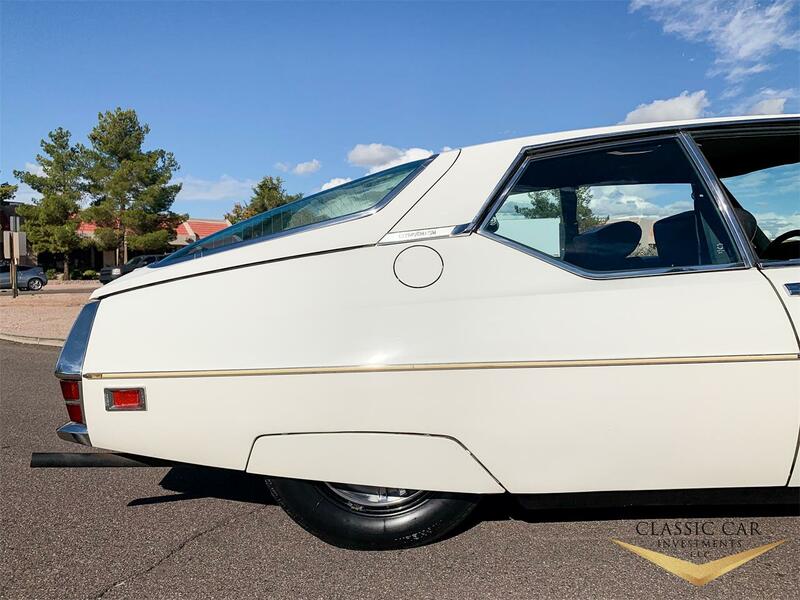 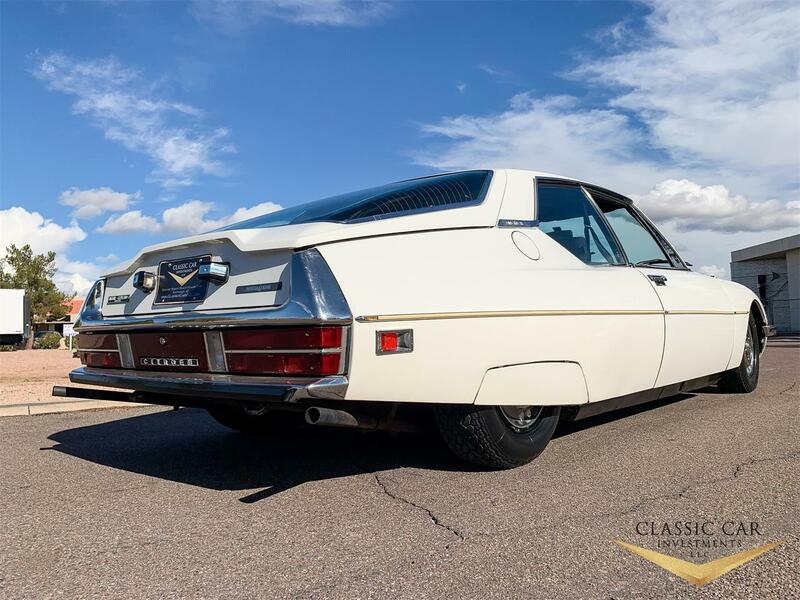 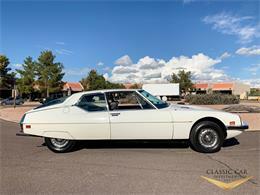 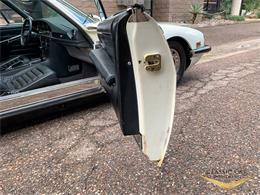 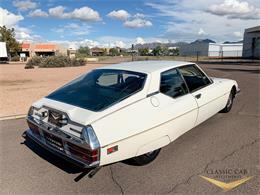 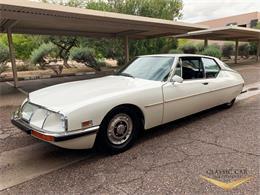 The Citroen SM Coupe was a luxury, sports car built from 1970 to 1975 under the ownership of Maserati. They built a total of 12,920 cars for worldwide production and of that, only 2,400 cars went to North America in 1972 and 1973. It is one of the rarest as it one of only 675 produced with the SM 2.7 Automatique. 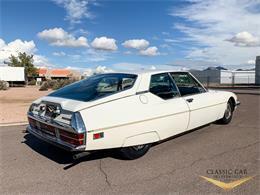 This was surprisingly Motor Trends, car of the year in 1972. 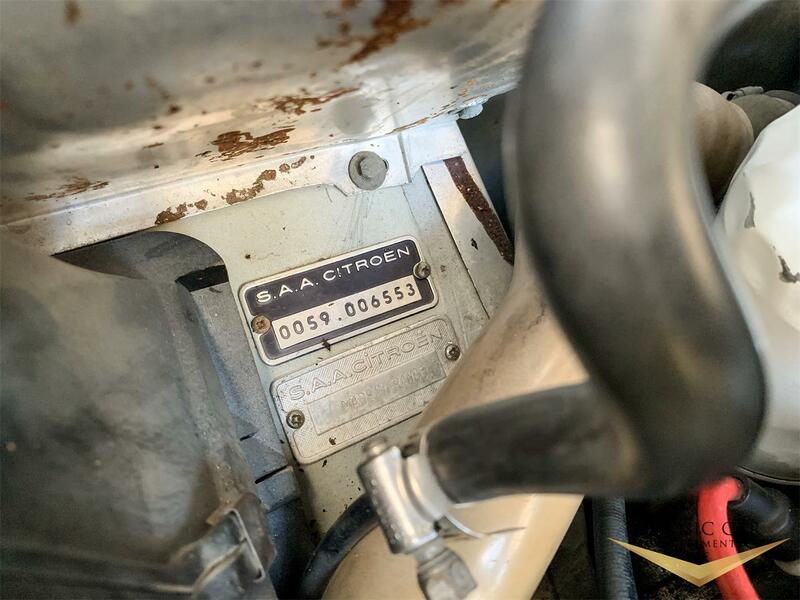 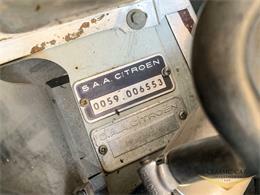 This is truly one of the finest, original examples you will ever find of a Citreon SM coupe! The SM's design also placed eleventh on Automobile Magazine's 2005 "100 Coolest Cars" listing. 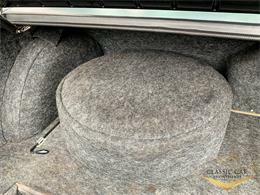 I have seen these bring over $100K on multiple occasions, just this past year. 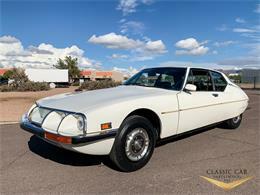 This car is a true bargain and will not last long. 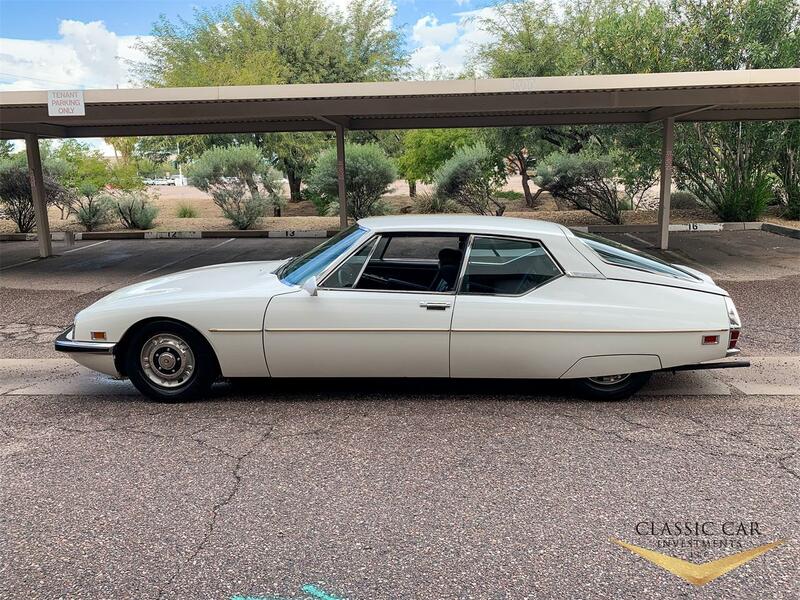 This is a very strong example of Citroen's masterpiece! 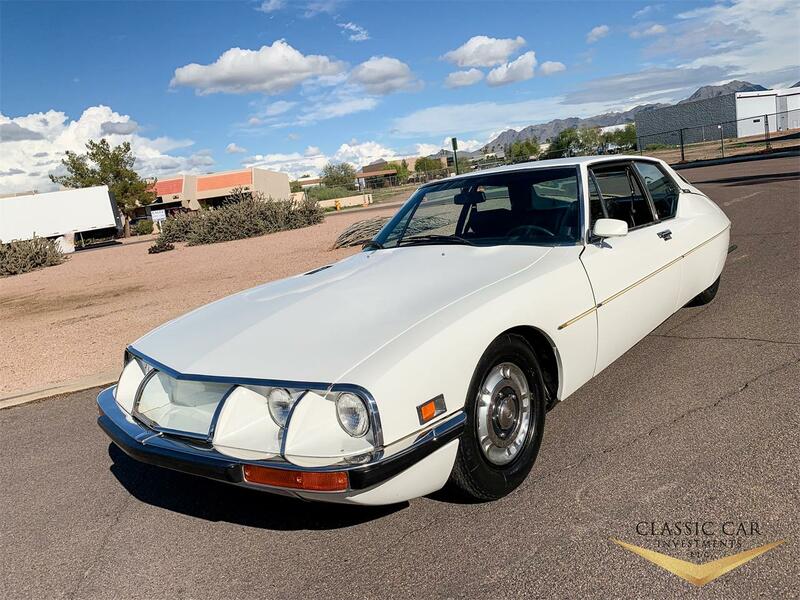 This Citroen is in absolutely beautiful original condition. It has about 80 percent, all original paint on the car that looks amazing with the only panels repainted are the hood and the right rear quarter, only due to a couple flaws and scratches. 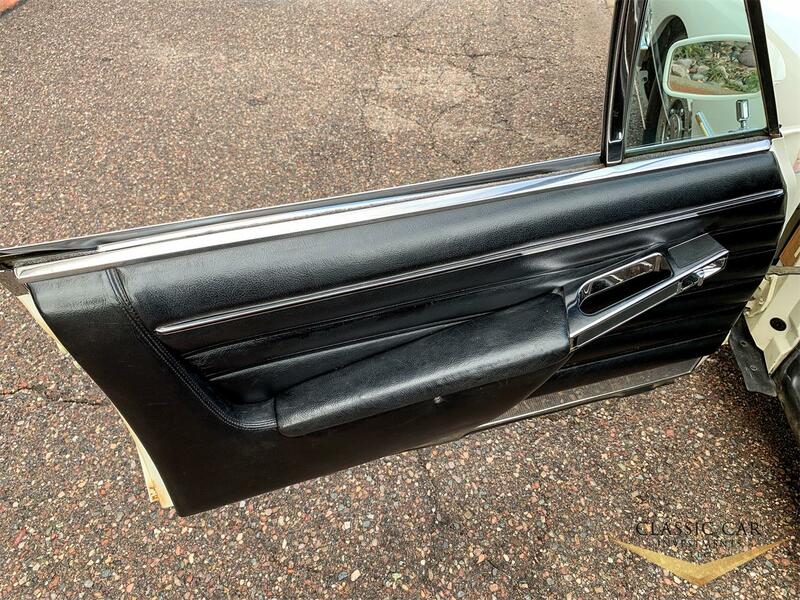 I had one of the best body shops in town do the paint and matched the color near perfectly. 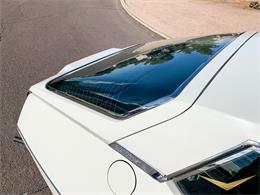 It is finished and ordered in white from the factory as you can see. 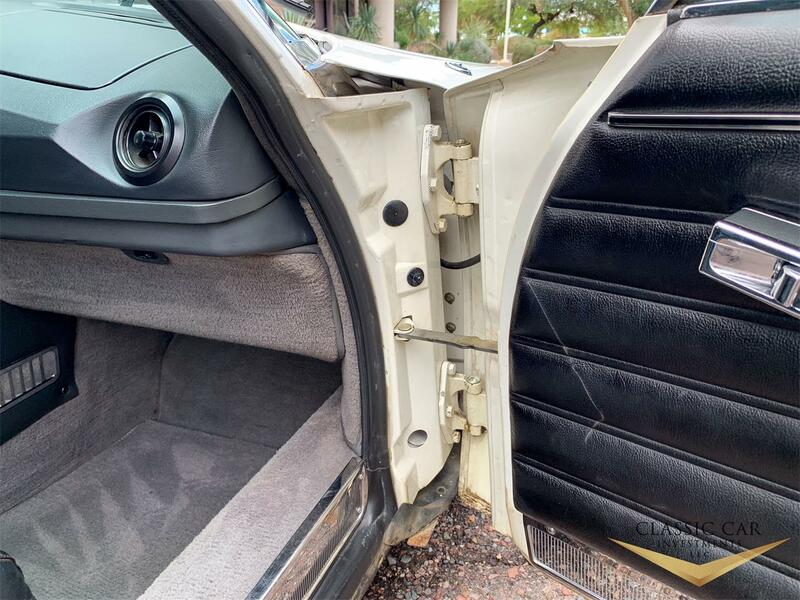 The fit and finish on the body is perfect as it has never been apart. 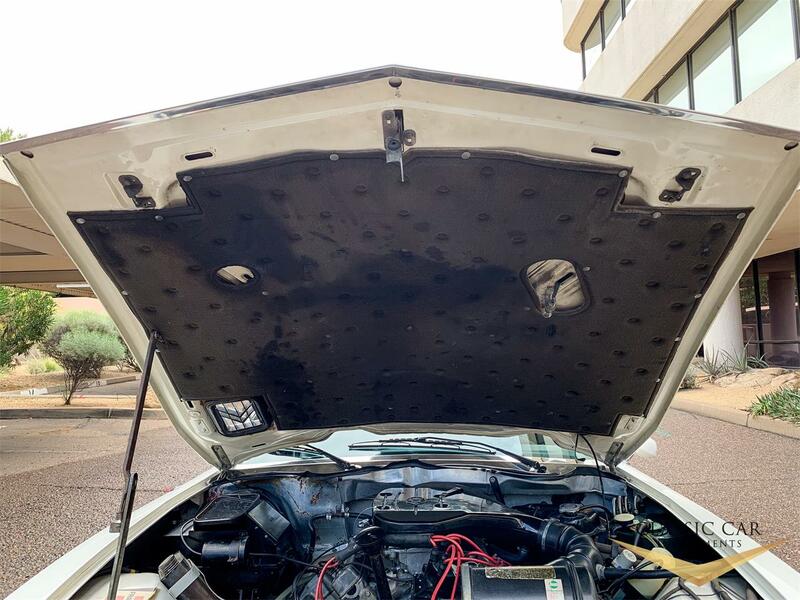 It is also completely rust free. 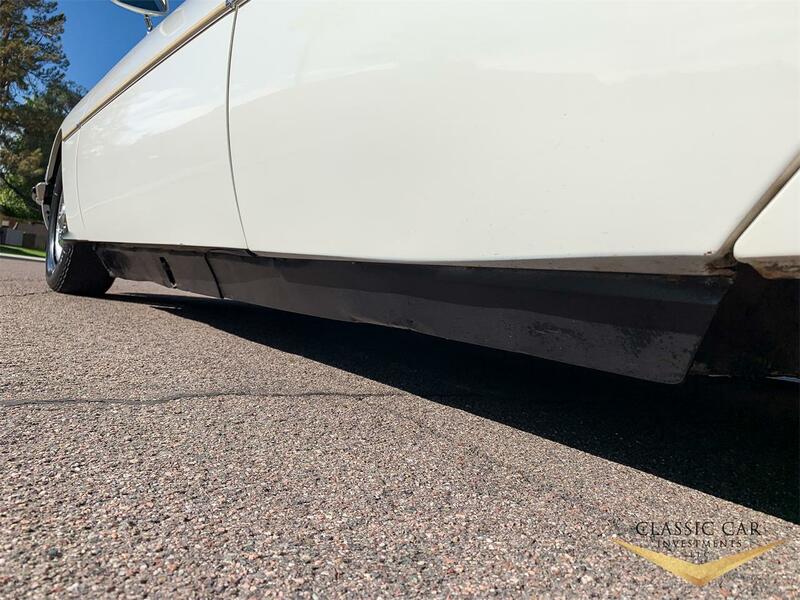 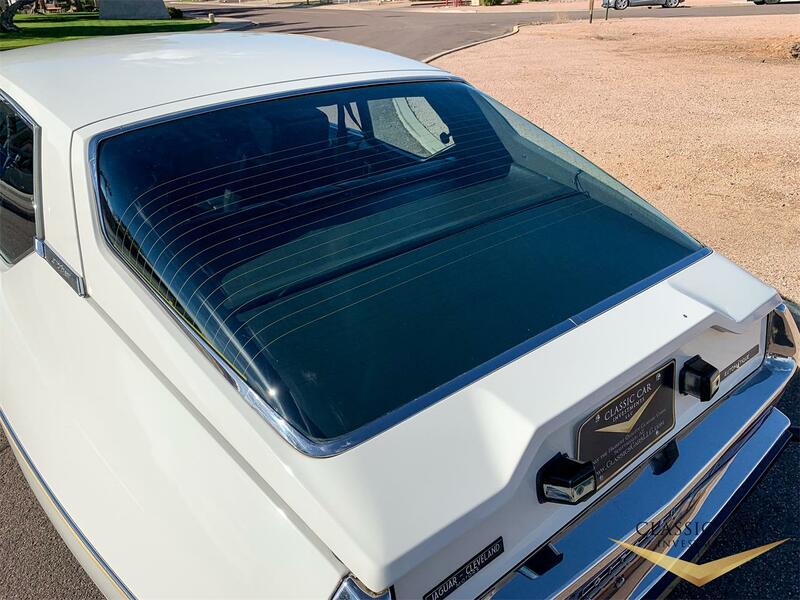 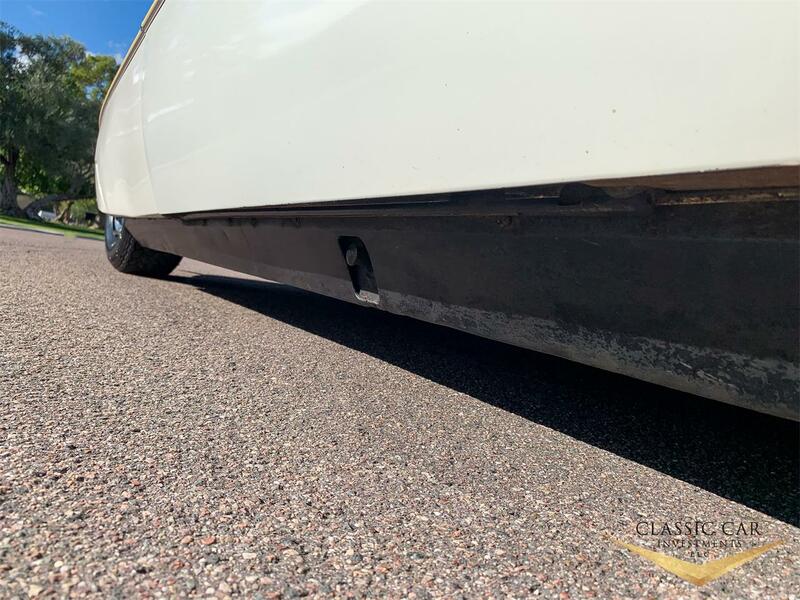 There are virtually no imperfections in the body or paint with the exception of a few flaws on the front valance from normal driving. 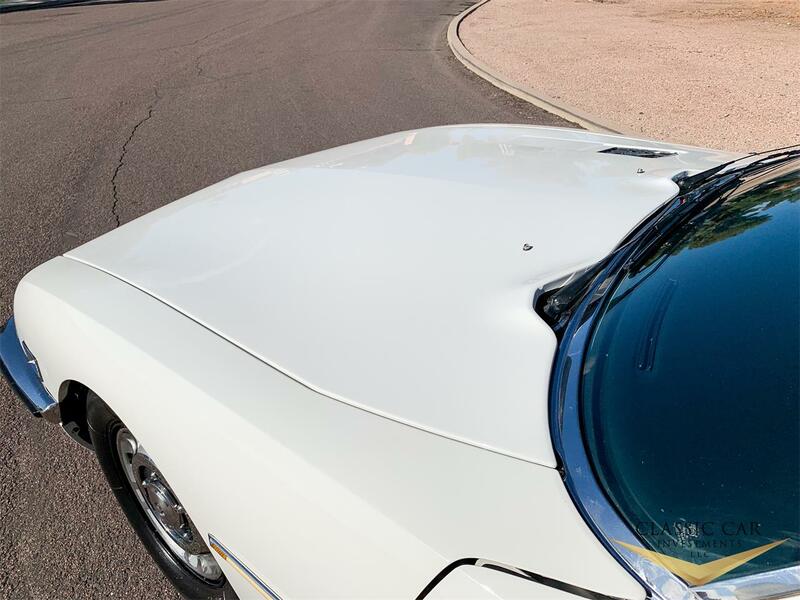 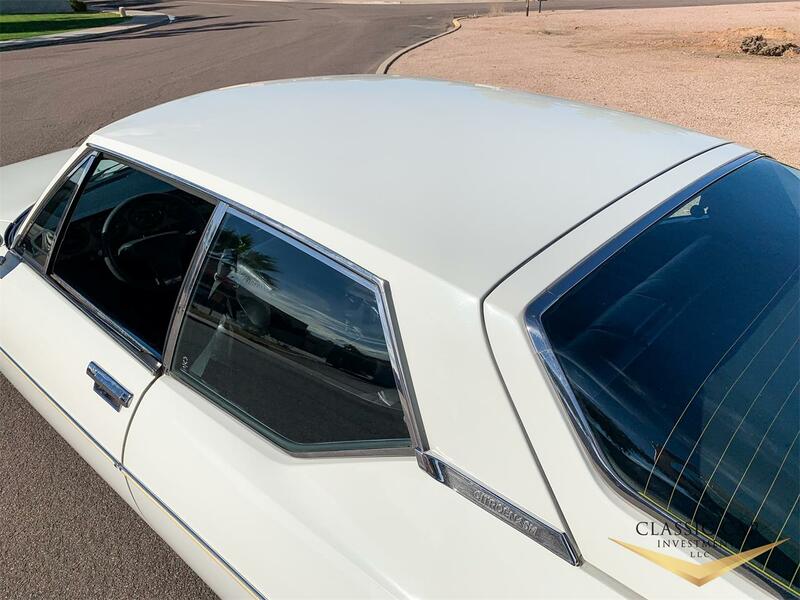 All of the chrome, trim, and lenses on the car are about as mint as you can get for being original. All of the glass is original and crystal clear. 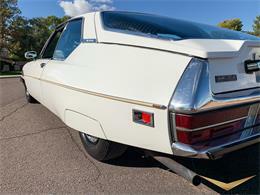 It is sitting on its original wheels with near mint original hubcaps and new Michelin tires. The mint, all original interior looks absolutely amazing. 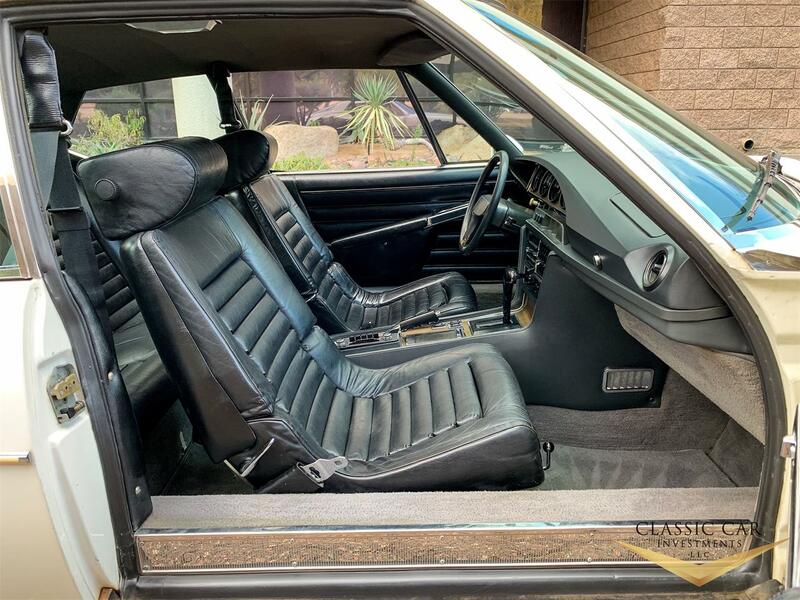 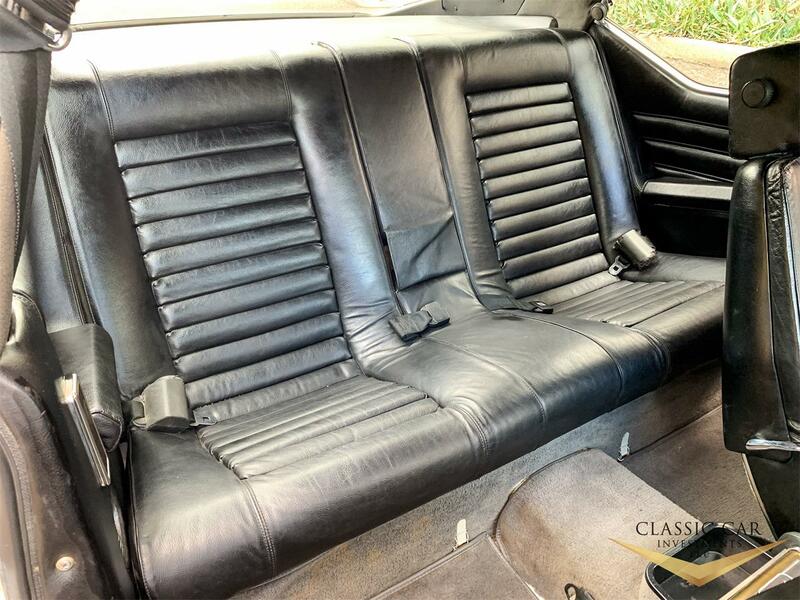 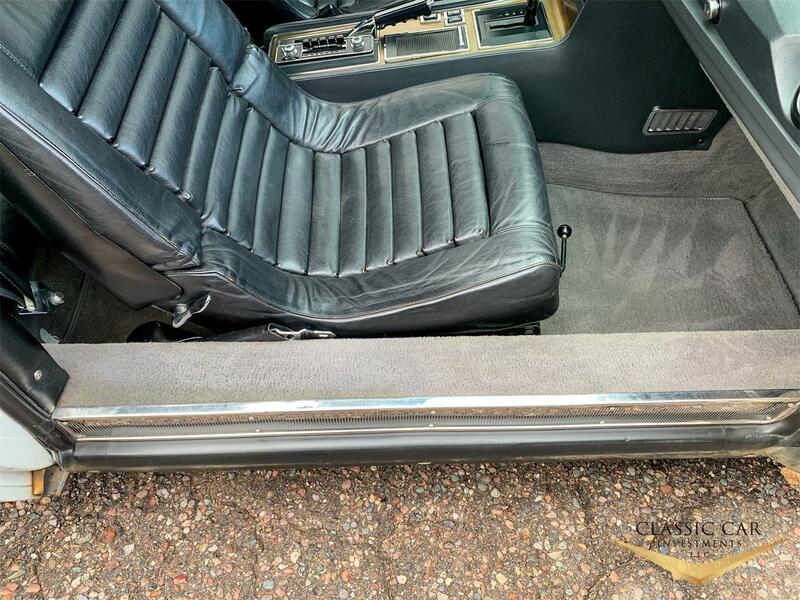 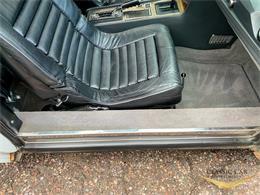 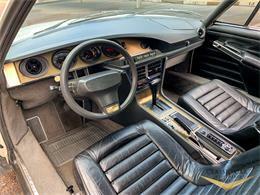 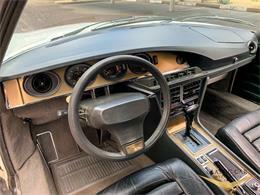 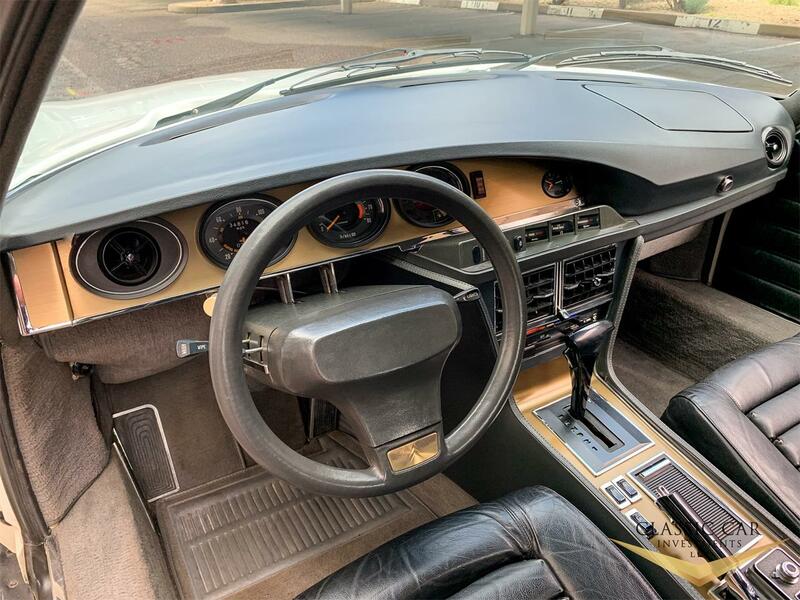 It has to be one of the nicest original interiors, you will find on a Citroen SM. It is also one of the nicest originals, I have ever seen on a 1972 period. 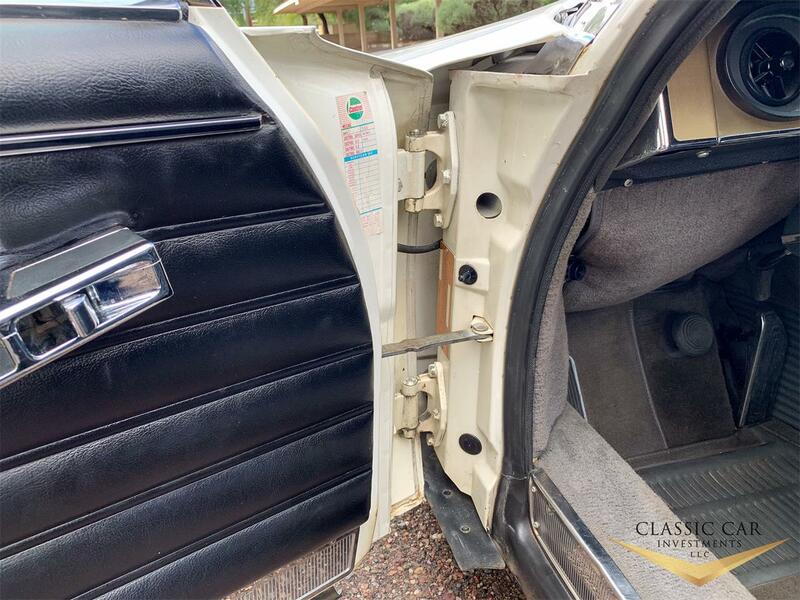 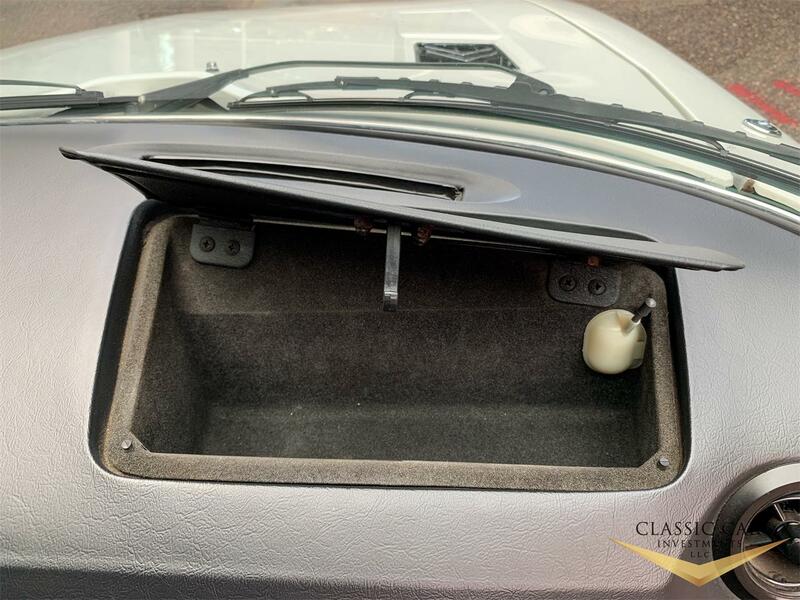 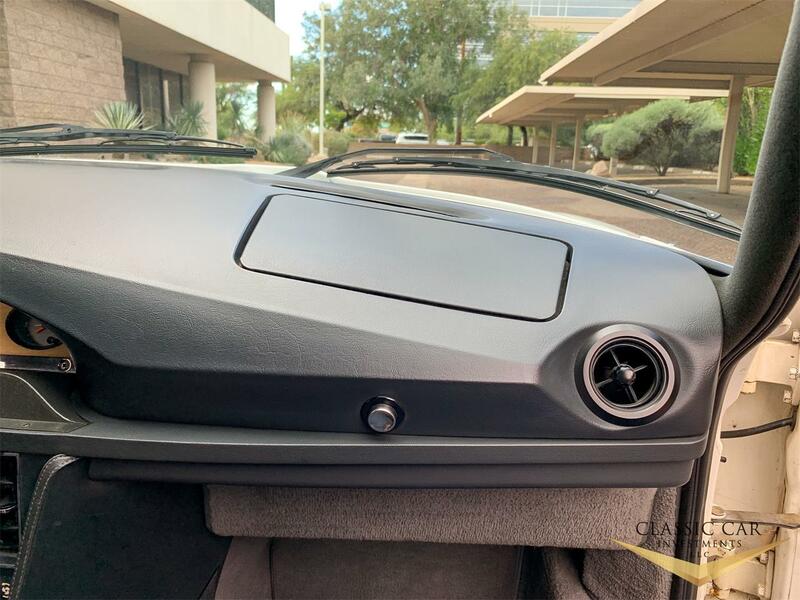 You can just see the amazing storage this car has had just by the soft and supple leather seats and how perfect the dash pad is. 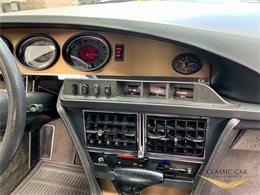 The gauge cluster and center console are bright and clean as new. 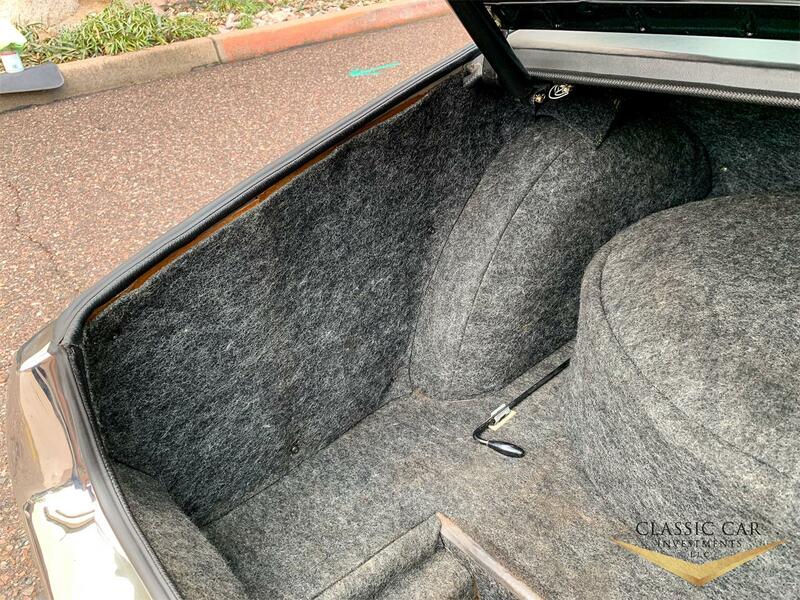 The door panels and carpet are absolutely beautiful. The headliner is also near mint with one flaw shown in the video. It appears everything works in the car including all the gauges, lights, power windows, wipers and even the original AM - FM radio. 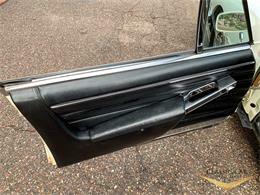 All of the weather stripping is original, soft and pliable. 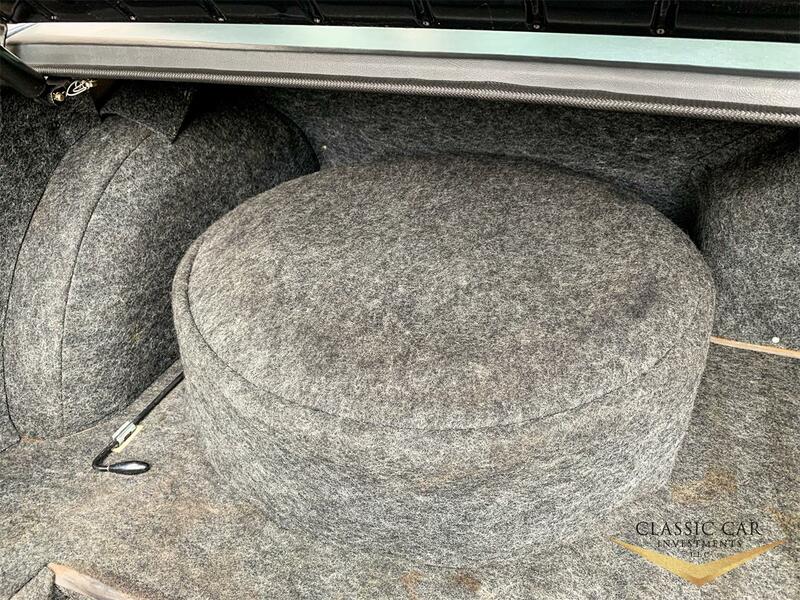 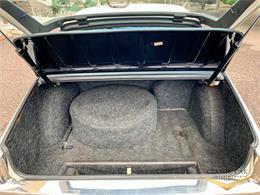 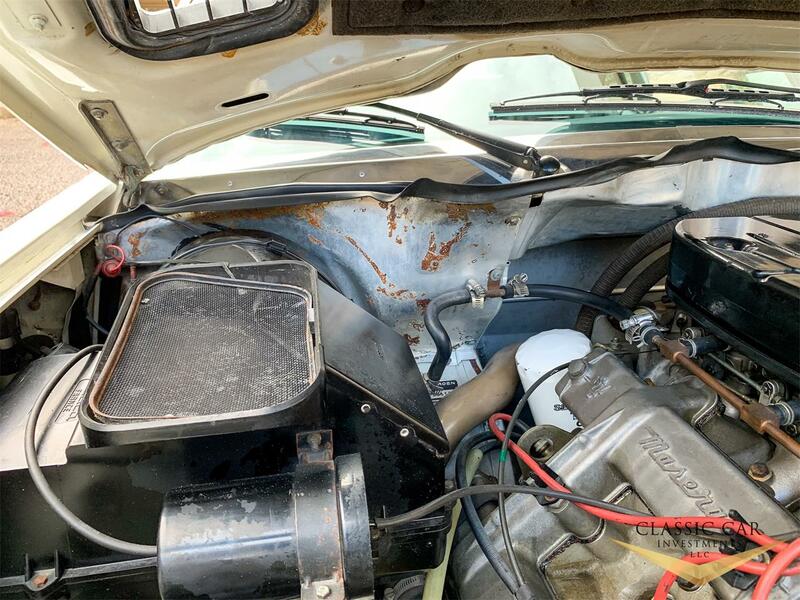 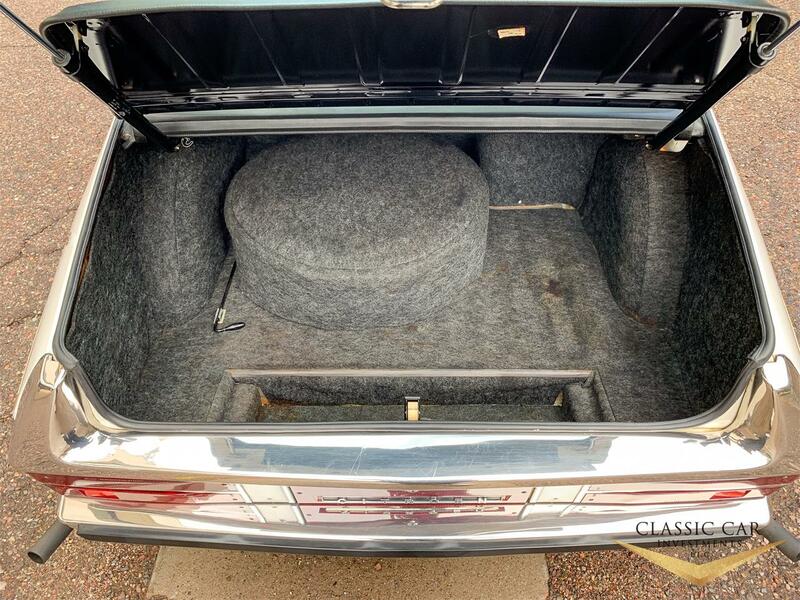 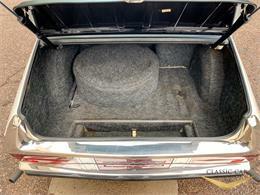 Inside the trunk is also mint original with what looks to be its original spare wheel and tires, cover and jack still in place. 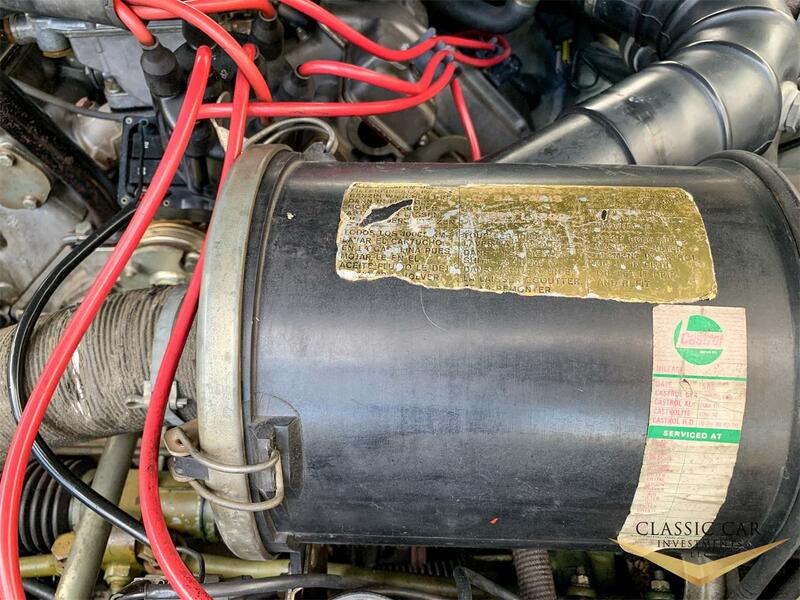 It is truly exciting to see a 1972 this well preserved. 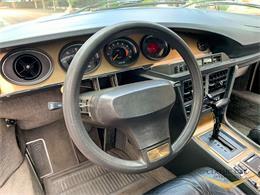 The car runs and drives excellent. 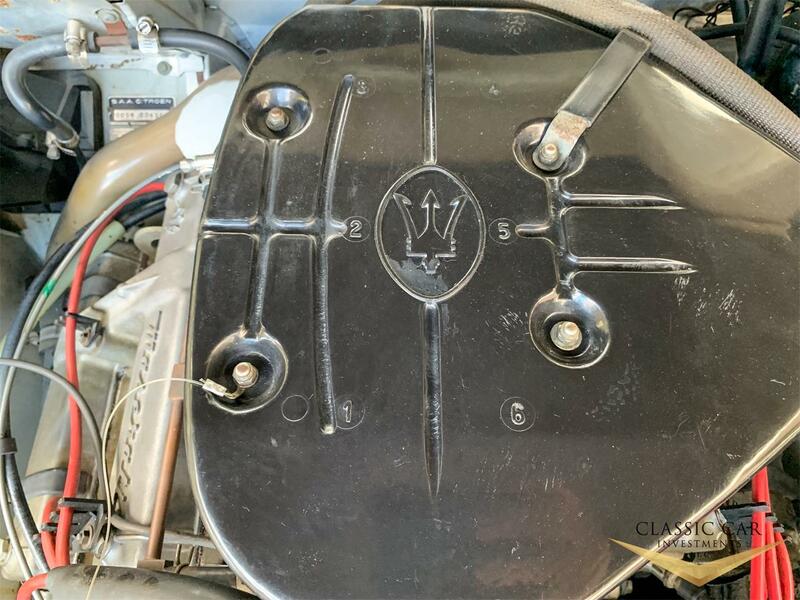 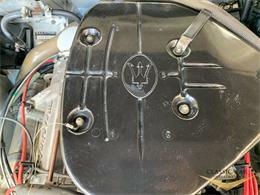 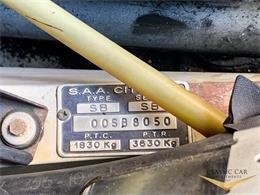 It has its original 2.7L V8 Maserati Engine with 3 Weber carbs which runs like a top. 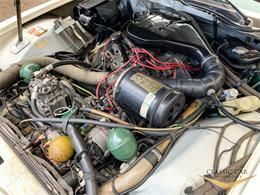 I just had the car serviced by one of the top Ferrari mechanics in town. 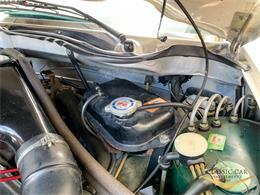 He gave the car the big green light and could not believe how nice this car ran and how smooth it drives. It has the rare automatic transmission that shifts smooth as silk. 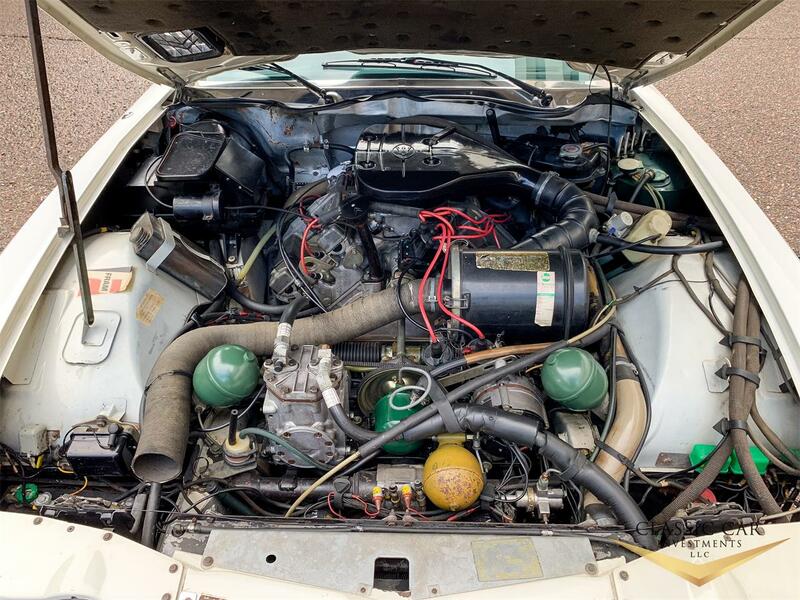 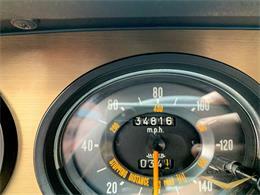 It is only a 34K original mile car which really shows. 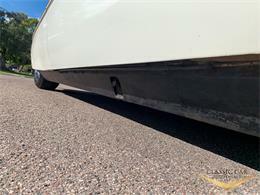 The hydro-pneumatic self-leveling suspension, which these cars are famous for and it all works excellent. The air conditioning is all there but needs to be serviced. 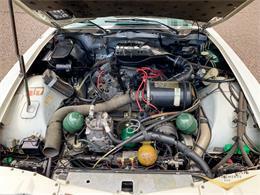 Under the hood is completely original and very clean. 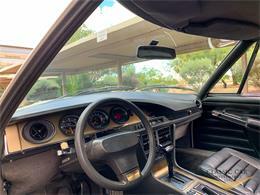 It truly runs and drives like a nice low mileage car should. 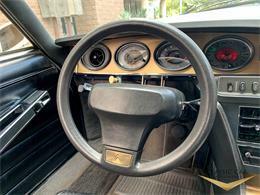 It is very quiet, tight and a pleasure to drive! The underside is very clean, original and very solid. 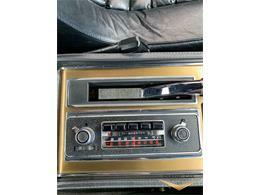 It is completely rust free with factory undercoating. 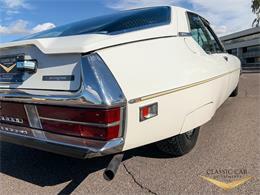 The exhaust system is nice and sounds great. 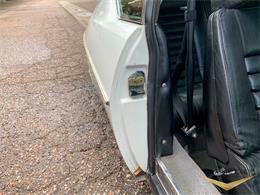 The suspension is nice and tight and has a great feel still with nothing appeared to be worn as the car only has 34K miles. 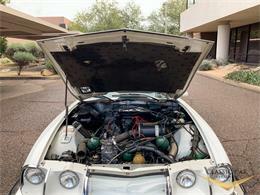 This is one of the nicest under carriages you will find on a SM coupe!